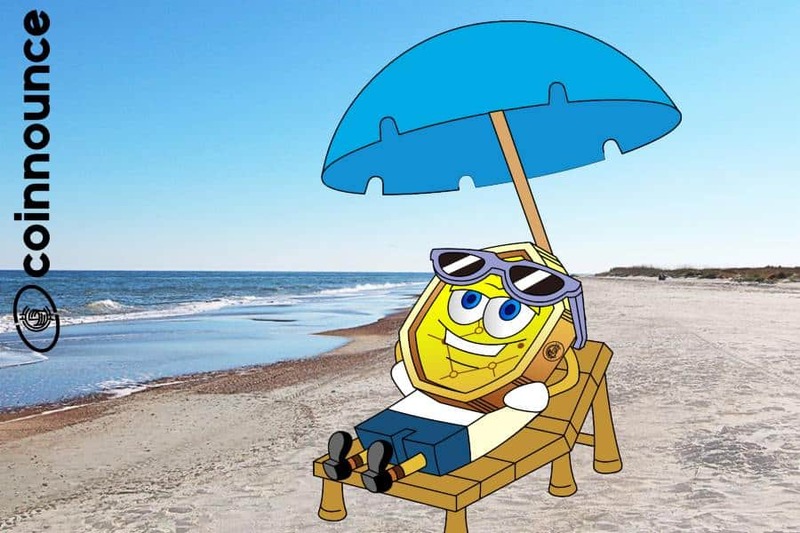 The current week has proved to be quite amazing for the cryptocurrency market as all major coins are holding green. The total cryptocurrency market rose by around $1.5 billion yesterday night with the price of bitcoin reaching $4100. Bitcoin broke the $4000 resistance level on 17th March and has been over this range since then. 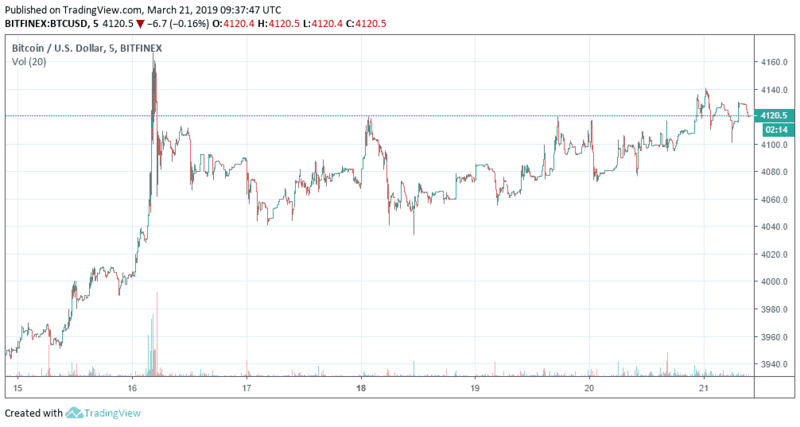 Bitcoin has turned the previous resistance into strong support now and has moved upwards slowly currently trading around $4120 (according to Bitfinex chart) with around 1% increase in the last 24 hours. If bitcoin is able to maintain its position above $4100 range for long, it might soon move ahead towards the major long term resistances such as $4500 and $4600. Ethereum also saw a nice bullish momentum this week after reaching the highest point of $143. 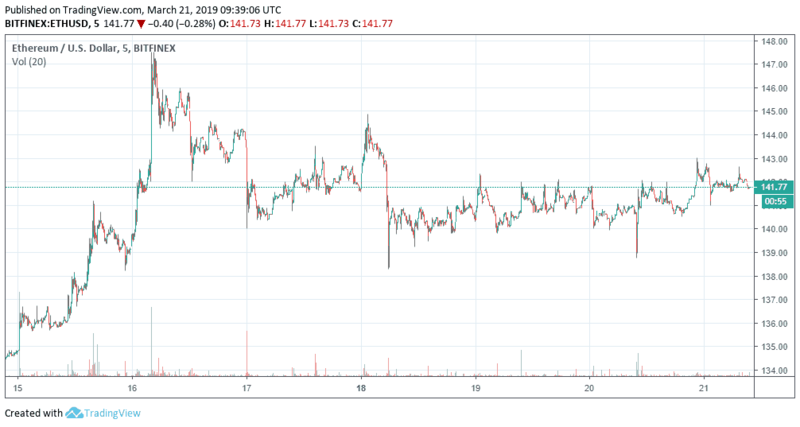 Currently, Ethereum is trading nicely around $140 and is experiencing a few dips while trying to move upwards. Unlike other top 10 coins, Ripple market is experiencing volatility from the last week but the momentum is still quite bullish. 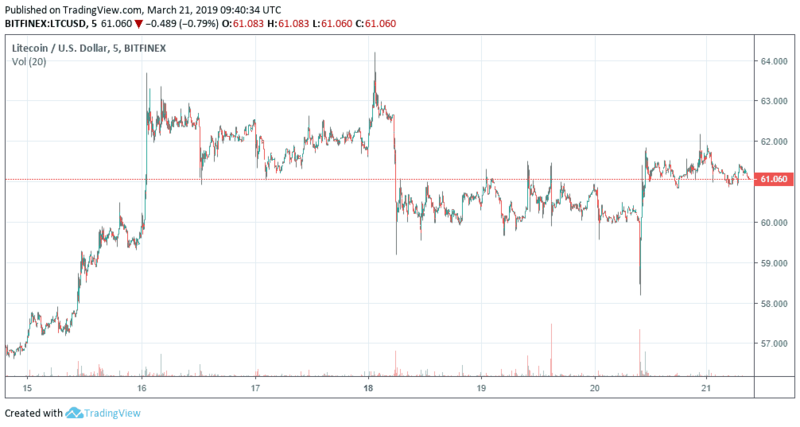 Litecoin has been following trends and is steadily trading around $60 from the start of the week. Litecoin has increased more than 1.67% in the last 24 hours which makes it the best performing crypto of the day (in comparison with the top 10 cryptos according to market capitalization). LTC is currently trading around $61 (according to Bitfinex chart). The overall cryptocurrency market is in a bullish momentum with sings of further gains. After a long bearish trend, cryptocurrency analysts are now believing that the bull market might be coming soon.